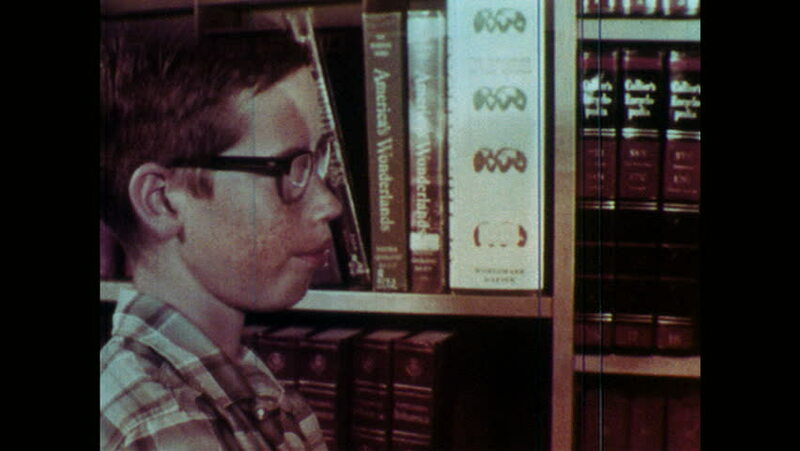 1960s: Boy talks to librarian, librarian leads boy away. He sits at desk, reads book, leans back, stretches, places hand on face. Man sits at table with boy, holds book while he reads. hd00:26UNITED STATES: 1980s: astronaut heats up titanium wires in space. Student experiment in space. hd00:101970s: Man drives forklift through warehouse, loads pallet of sacks onto stack. hd00:141960s: Zoom in on girl in jail cell, girl tosses on bed. 4k00:231950s: Man eats cookie and listens. Clerk speaks. Man and clerk talk over grocery counter.